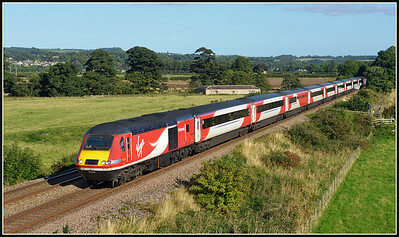 09.30 Edinburgh-Kings Cross ECML. 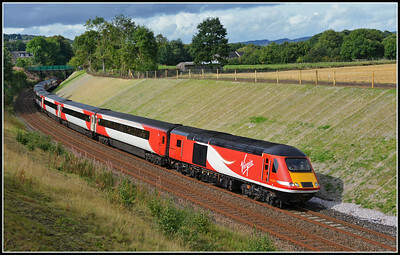 diverted service at Broomhaugh. 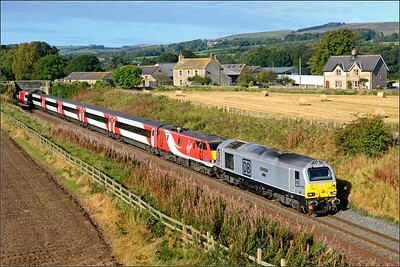 07.25 Aberdeen- Kings Cross ECML.diverted service at Broomhaugh . Kings Cross -Edinburgh ECML. 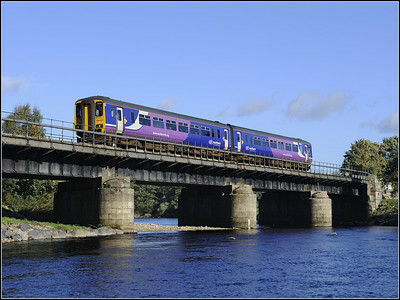 diverted service heads for Hexham. 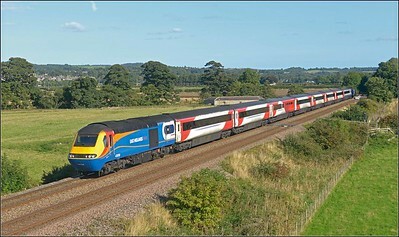 Edinburgh-Kings Cross ECML. 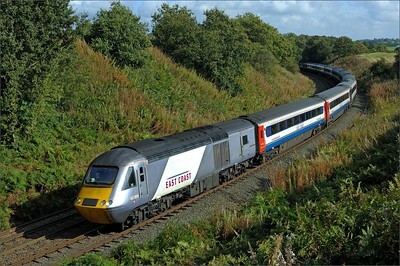 diverted service at West Moralee. 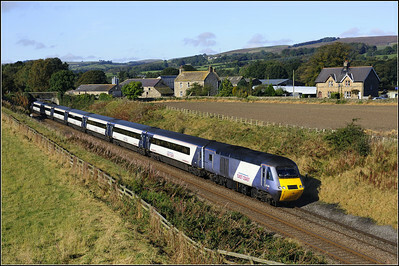 09.30 Edinburgh-Kings Cross ECML.diverted service at West Moralee. 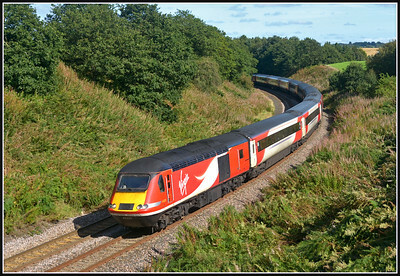 11.00 Kings Cross- Edinburgh ECML. 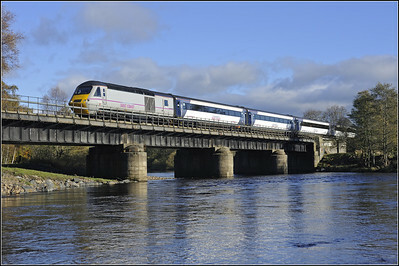 diverted service at Hexham. 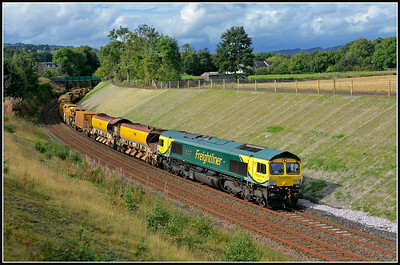 West bound works train at Dilston. 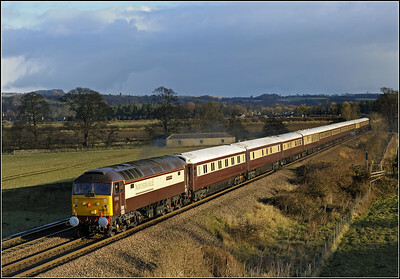 Carlisle bound works train, and a friendly wave from the driver sets the scene at Dilston. 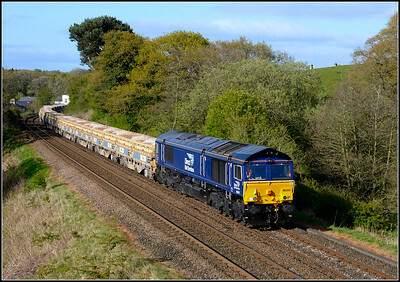 11.00 Hardendale-Lackenby loaded limestone hoppers at Broomhaugh. 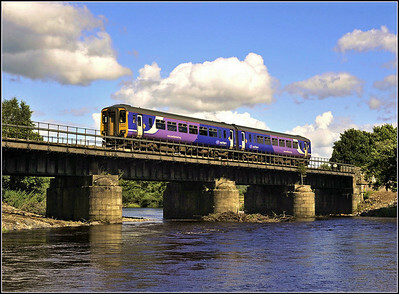 Darlington-Darlington via the Tyne Valley 'Northern Belle' charter passing Dilston. 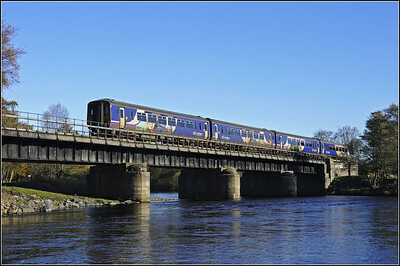 2013 08 West bound unit crossing the South Tyne at Crowhall Mill. 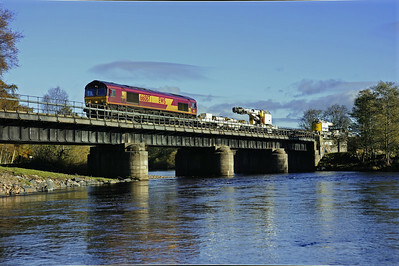 West bound unit at Crowhall Mill crosses the South Tyne. 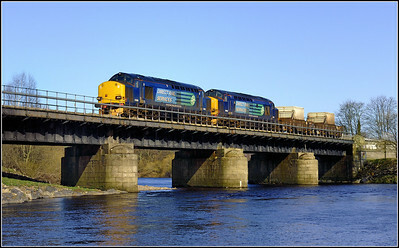 RHTT crosses the South Tyne at Crowhall Mill. 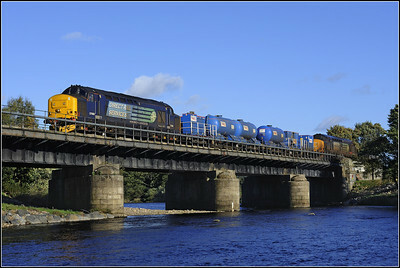 West bound Newcastle-Carlisle unit at Crowhall Mull with Mallard hitching a lift. 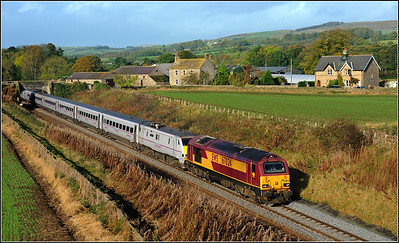 Morpeth-Carlisle works train west bound at Crowhall Mill. 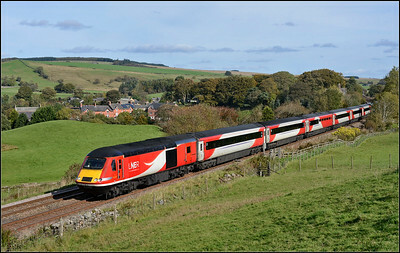 ECML. 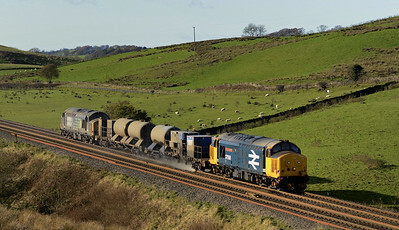 diverted service train at Crowhall Mill. 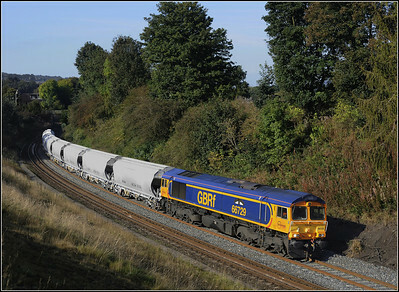 The beauty and the beast, as the water canon train heads for home at Dilston. 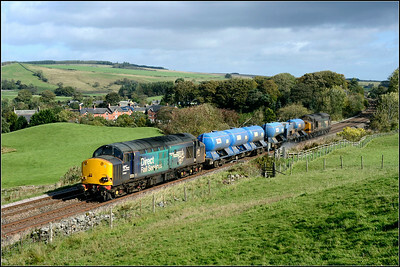 Seaton-Sellafield flasks head west at Crowhall Mill. 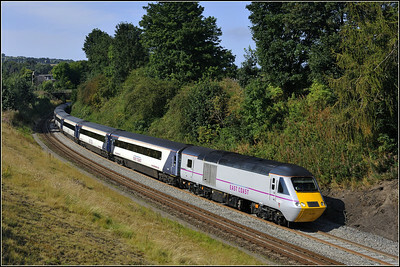 2014 10 11.10.00 Kings Cross-Perth Hst heads west on a ECML.diverted service at Moralee. 2014 10 12. 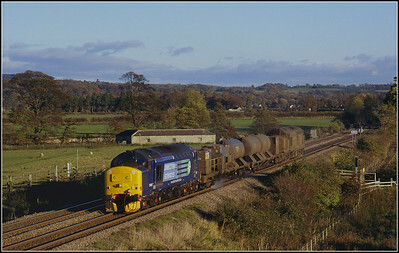 37612/37259 on the Carlisle-Tursdale-Carlisle RHTT at Moralee. 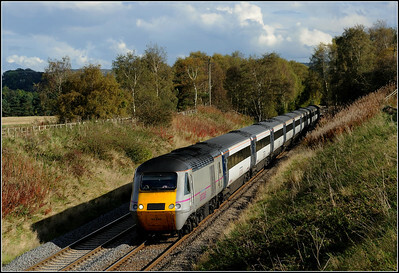 2014 10 11.09.42 Edinburgh-Kings Cross diverted ECML. 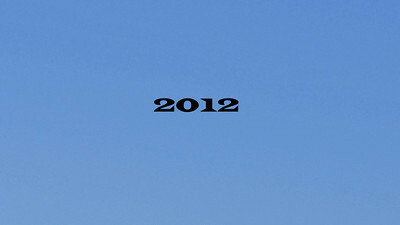 service at Moralee. 2014 10 18.67024/91109 on the diverted 06.50 Glasgow Central-Kings Cross ECML. 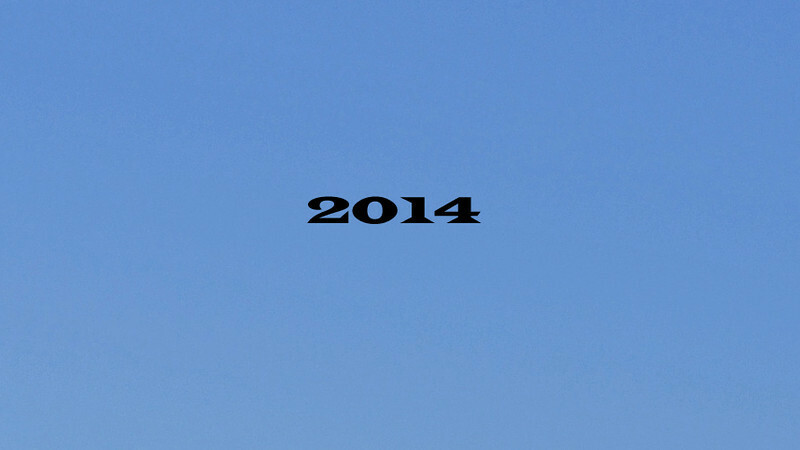 service at Moralee. 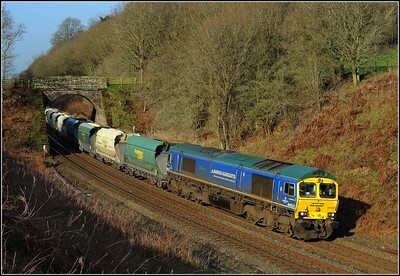 2012 03 26.66623 on the Hardendale-Redcar loaded limestone train at Cowran Cutting. 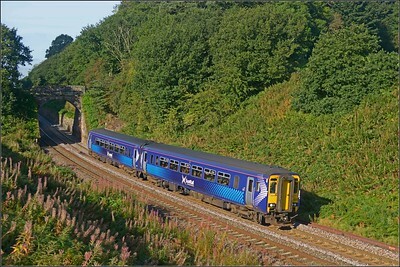 2016 09 17.Unit on the 07.07 Glasgow Central-Newcastle service at Cowran Cutting. 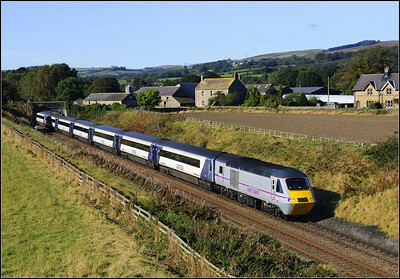 2016 09 17.67015 ex works on the 08.24 Edinburgh-Kings Cross VTEC diverted service at Cowran Cutting. 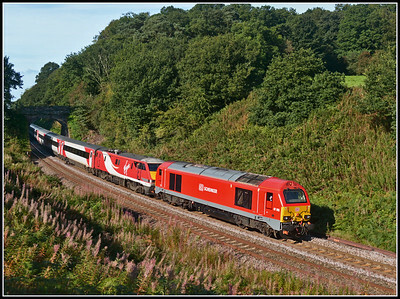 2016 09 17.43312 on the 09.42 Edinburgh-Kings Cross diverted VTEC service at Cowran Cutting. 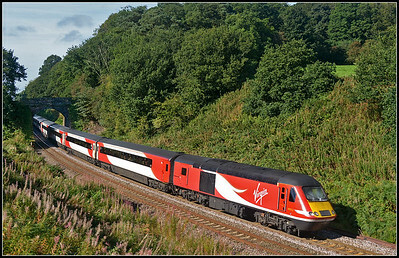 2016 09 17.43320 on the diverted 09.00 Kings Cross-Edinburgh VTEC service at Cowran Cutting. 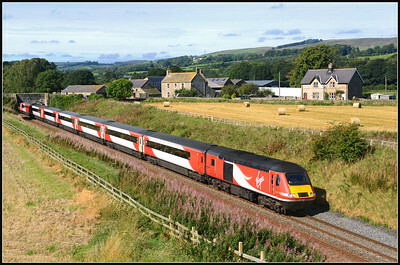 2016 0917.43058 heads for Newcastle on the diverted 13.23 Edinburgh-Kings Cross VTEC service at Dilston. 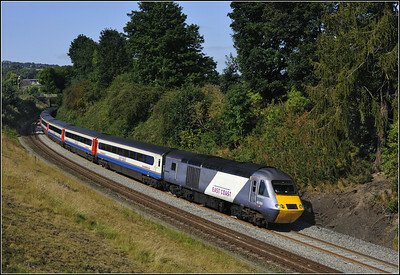 2016 09 17.43239 on the diverted 12.30 VTEC service at Dilston. 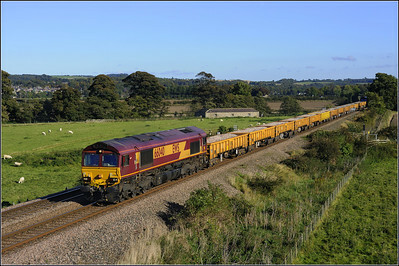 2016 09 25.66528 on the 10.00 Springfield-Tyne Yard S.S. infrastructure train at the treeless Broomhaugh. 2016 10 08.67029/91125 on the 08.24 Edinburgh-Kings Cross VTEC diverted service at Morralee. 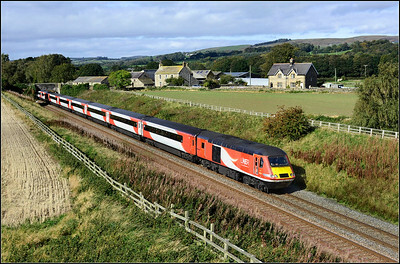 2016 09 25.43206 on the 09.41 Edinburgh-Kings Cross diverted VTEC service at Broomhaugh with its new transformation for all to see. 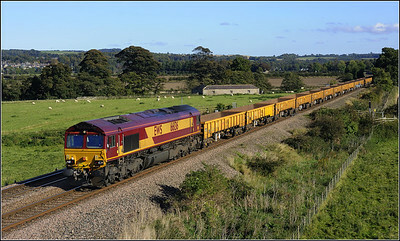 2017 11 12.37558+37602 ,replacement 37558 on RHTT duties on the Carlisle-Carlisle outward journey at Gilsland. 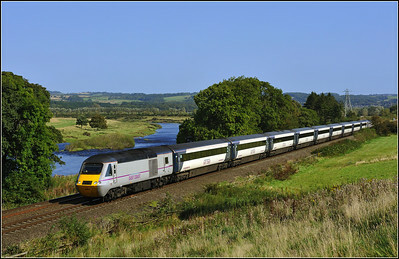 09.42 Edinburgh-Kings Cross LNER service,diverted along the Tyne Valley at the delightful small village of Morralee. 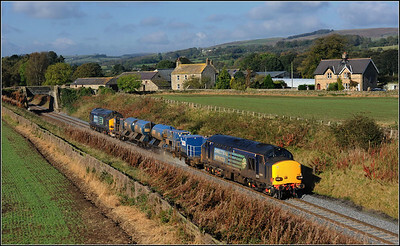 2018 10 02.37059+37069 on the 02.50 Carlisle-Carlisle RHTT at Gilsland,the previous day this RHTT had two large logo 37's hauling this working.To my disbelieve these two turned up having been on S&C at the weekend hence their grubby condition!. 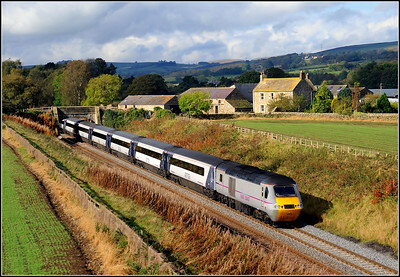 2018 10 06.43309 on the 09.00 Kings Cross-Edinburgh diverted LNER service at Gilsland. 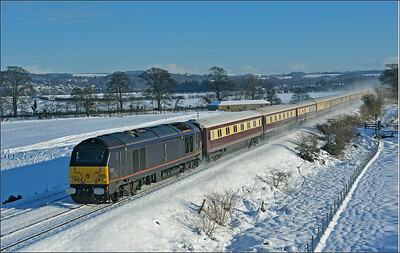 2010 12 08 67006 on the "Christmas Luncheon Northern Belle" charter from Darlington to Carlisle at Dilston. 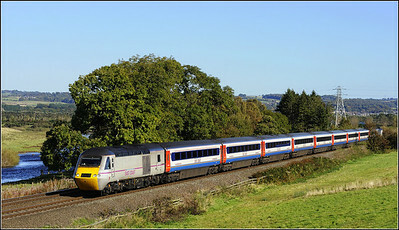 2011 09 25.43306 on a diverted ECML service at Cowran Cutting.